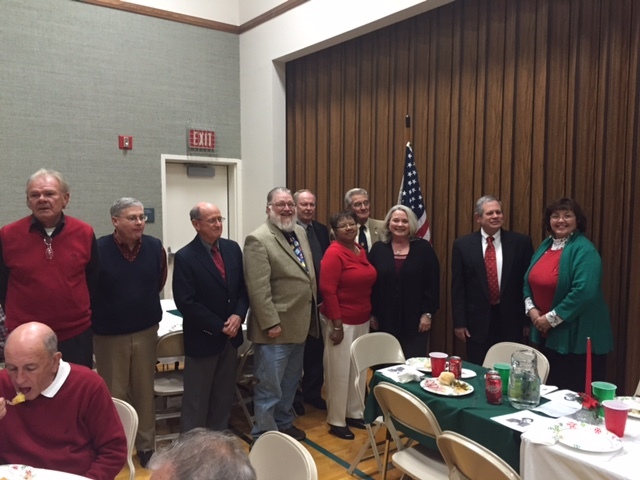 2015 Officers Donna F, Slaton, President: Randy Teague, Vice-President; Patty Davis, Secretary; Margie Bowman, Treasurer; Board of Directors Members L. Peyton Adams, Jimmy Harris, Leif Ratliff; County Historian Carl Veazey. Back Row Bob Adkins Director Emeritus and Board Member Allen Davis. Missing from picture: Director Emeritus D. W. Dockrey.